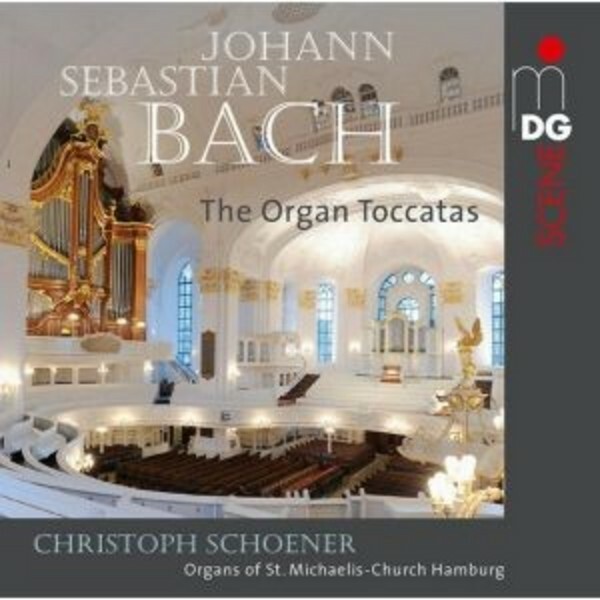 On this enthralling new production Christoph Schoener plays Johann Sebastian Bach’s five toccatas on all four organs in St Michael’s Church in Hamburg. For the famous Toccata in D minor, three instruments team up to do the job. Thanks to MDG’s 2+2+2 reproduction method and night time quiet, this overwhelming sound event can now be experienced for the first time in the home. On this finely balanced Super Audio CD each instrument is heard in its original place, and the magnificent baroque interior of this Hanseatic principal church is conveyed in superb natural sound.